If you can imagine it happening to your home, there is a good chance it can happen. This is what the home insurance industry is all about. Home insurance exists for one reason: to protect the single biggest investment most people ever make. Buying home insurance is not a legal requirement in Canada, but if you have a mortgage, the mortgagee will require that you insure the home. Whether or not you have a mortgage, the possibility of losing perhaps your largest asset is too great a risk to assume—thus, virtually everyone who owns a home carries insurance on it. Not all home insurance policies are equal. In this article, learn about the four main types of home insurance policies and how to know which is right for you. If you are looking for the best coverage for both your house and the things inside it, you are looking for a Comprehensive policy. Not surprisingly, this is typically the priciest type of home insurance policy. In simple terms, both your house and most typical contents people have in their homes are insured against “All Risks.” This means they are covered for anything that could happen to them, unless a “peril,” or type of loss, is excluded on the policy. All insurance policies, even the most complete policies available, have some things that are not covered. For example: if you intentionally damage your own things, or if war breaks out, there is no coverage. With a Comprehensive, or All Risks, policy, it is important to review the things that are “not covered.” The good news with a Comprehensive policy is that if a peril is not on that “not covered” list—then it is covered. In some cases, you can purchase additional insurance policies or riders to cover some uninsured perils. Flooding, earthquakes, and sewer damage are examples of uninsured perils that can potentially be covered under additional policies or riders. Other uninsured perils are simply not insurable, such as terrorism, criminal behaviour on the part of the policyholder, or home issues deemed to be the result of maintenance left undone. Most of the common perils are not excluded on a Comprehensive policy, and again, if it is not excluded, it is covered. 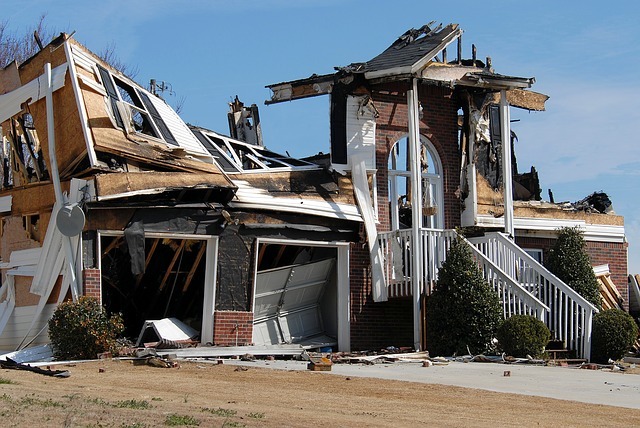 Though you will not see a list of what IS covered, common things like fire damage, theft of contents, smoke damage, water damage from a burst pipe, lightning strikes, wind or hail damage, and vandalism are not excluded and are therefore covered. A Broad homeowners insurance policy gives you the same All Risks coverage on your house as a Comprehensive policy does. The only difference is that the coverage on your contents is reduced to “Named Perils” coverage. This type of policy is generally a little less expensive to purchase than a Comprehensive policy. What does this mean for your belongings in your house? In simple terms, the policy will have a list of Perils that your contents are insured against. If a peril, or a cause of loss, is on that list, then there is coverage. However, if a peril is not on that list, then there is no coverage. The list of perils that a policy like this covers your contents for is actually quite broad. Many of the common perils, like fire and theft, are covered on either a Comprehensive policy or a Broad policy. However, consider something unusual—for example, a deer wanders into your attached garage, becomes confused, and enters your house when the door opens (this has happened!). Once inside, it becomes disoriented and damages your contents before it finds its way back out. Is the damage it causes covered? That is the difference in a nutshell between All Risks coverage and Named Perils coverage. Now, the above example of the deer in the house is an unlikely situation. In practice, the more common perils are covered under either a Comprehensive or a Broad policy. Because of this, the price of the two policies is often quite close. If you are presently insured on a Broad policy, you should check with your broker if you qualify for a Comprehensive policy and what the additional premium would be. You might be pleasantly surprised how little it costs to move from a good policy (Broad Form) to the best policy (Comprehensive Form)! That said, a Broad policy could be a great solution for a cottage that is more like a second home, where the concern is more about getting the best available coverage on the building than on the contents. As its name suggests, a basic homeowners policy is one that outlines precisely what is covered. The coverage that is provided on both the building and the contents is “Named Perils”—a peril has to be on the list of what is covered or there is no coverage. This type of policy may be a good fit for homeowners who are willing to take on some financial risk in return for a lower premium payment. It may also be the best coverage available on a second home or an older building. A no frills policy is a policy designed for “special needs” houses—in other words, houses that have some type of structural defect or issue that would ordinarily make them ineligible for home insurance. If you own a property of this type, such as a fixer-upper that you are working toward restoring or flipping, a no frills home insurance policy can protect it until you repair it and it qualifies for regular home insurance. This type of policy is sometimes called a “Basic Fire policy” because the perils that are insured are limited to fire damage and a few other very basic coverages. Even if you opt for a Comprehensive policy, you may still need additional coverage depending on your home’s geographic location, high-value personal possessions, and/or a home-based business. Sewer or septic back-up coverage usually must be purchased as a separate coverage. If your home is situated in an area that has a high risk of flooding, you will likely want to purchase additional flood insurance. Also, if you have valuable items (stamp collection, jewelry, artwork, furs, vintage antiques, etc.) at your home, your regular home insurance typically will cover these items only up to a certain value. You will want to talk with your broker about a rider to cover these items. If you run a business out of your home and store equipment, supplies, or inventory there, be sure to talk with your broker about adding coverage for these items as well. You may also want to take out a business insurance policy separately to cover the needs of your business. Your homeowners insurance policy will pay a claim according to one of two different methods. Regardless of which policy you have, it is important to know which method your policy will use. Actual Cash Value. This method reimburses you for damage or loss based on the actual value of the item at the time it was damaged or lost. Replacement Cost/Value. This method reimburses you for damage or loss based on what it would cost you to repair or replace that item based on current prices. Not surprisingly, it will cost you more to have your house and possessions covered based on replacement cost/value. But if the unthinkable happens and your home is destroyed by an insured peril, you want to be sure your coverage will be sufficient to rebuild your home and replace your possessions. Before you assume you can't afford as much coverage as you truly need for total peace of mind, don't forget that there are ways to get discounts on your premiums. Give our knowledgeable insurance experts a call. We can help you find the best coverage to suit your needs. As brokers, we work with many different insurance companies and will help find you the best coverage that is available within your budget.